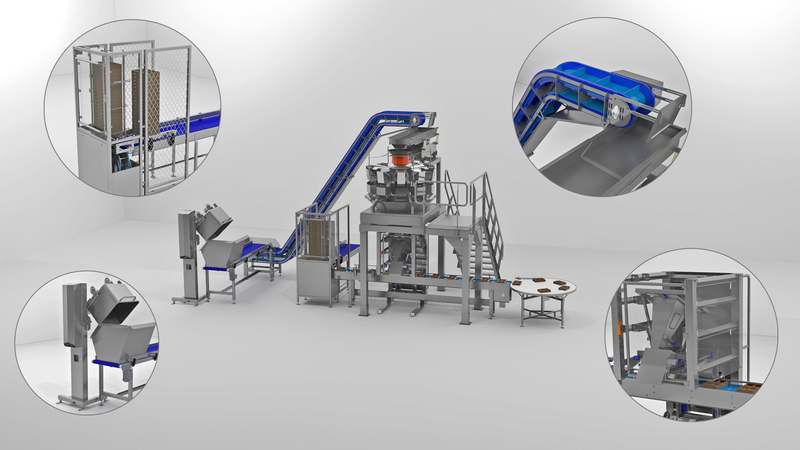 MACS machinebouw achieves complete industrial packaging lines in the food industry. We take the entire process off your hands, from engineering to commissioning. You ask, we arrange it. Do you need loose components? Please feel free to ask us for loose parts of a line. We will be glad to be of service. Feeding systems: lifting, tipping and depositing food products. Conveyor belts: moving food products. Vibrating conveyor belt: moving the product and processing if required. Weighing equipment: weighing the product and portioning. Filling system: packaging the weighed portion. Denester: denesting the packaging material. Turning table: packing the packaged product. MACS machinebouw builds each packaging line, according to your wishes.